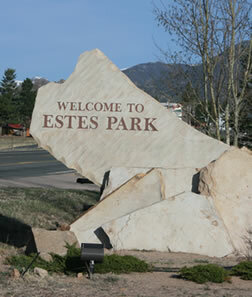 Estes Park Shuttle is locally owned and operated in Estes Park, Colorado. We use 15-passenger vans, mini-vans and buses as needed. We are the only company licensed by the Public Utilities Commission in Denver, Colorado, to provide regularly scheduled shuttle service between Denver International Airport and Estes Park. We are also able to provide charter service for large conferences and business groups, family reunions, wedding parties, and tours of the magnificent Estes Park, Colorado area. Our regular office hours for reservations (970) 586-5151 are 6:00 AM to 7:00 PM. For group reservations, weddings and tours, please call (970) 488-9950.